In a business or even academic setting, there can be a huge amount of information being passed through within a single day. There can be an overload on information to take in and remember especially when each correspondence consists of multiple paragraphs with long and detailed sentences. It is important to choose the medium to convey information so that more than 50 percent retention can be achieved. With that said, using a note to pass through information is an efficient method. Although you may think a note only contains scribbles, it can be used to share important and urgent information. So long as it is made in a professional manner, then it can be used even in a corporate setting. Opposite to that of a letter which follows a specific format and uses more words, a note uses less words and immediately dives into what the subject or topic is. Although it may not follow a specific format or structure and uses less words, it is still an effective method to use when communicating important information to others. 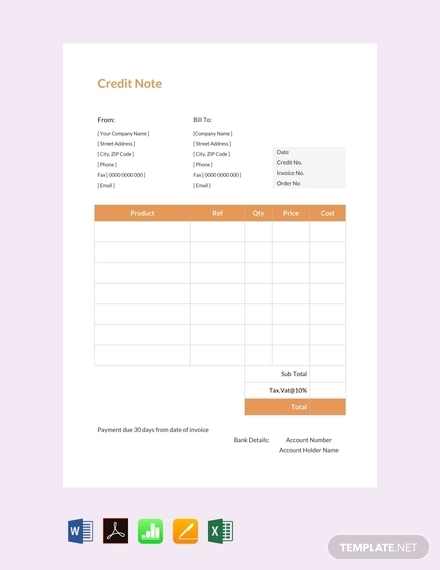 However, you need to make sure that the note contains all necessary elements so that you can provide all the information that is needed for it to be comprehensible. 1. Sender and Recipient details: Just like in a letter, it is also still very important that you provide pertinent information about the sender and recipient of the note. However, it should be presented just like how in a memo where it can be listed anywhere on the page so long as it is immediately readable, also just like how a letterhead should be. Make sure that you provide the exact name, address, and contact information for both the sender and the recipient. 2. Date: The date on the note should be the date when it was written. 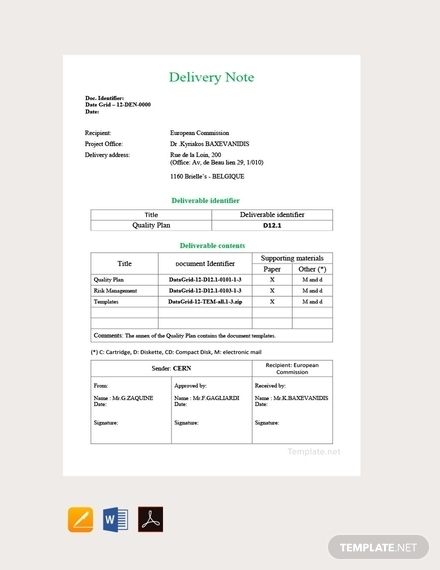 Since it is protocol to send a document whenever it is done and ready, it is understandable that the date on the note indicates when it was written and sent. Writing that would also mean that the information has been shared within the right time and allowing the recipient to know of such information within the right time. 3. Subject: Although a note is a short document, it is still necessary to provide an overview of what subject is discussed within its contents. Thus, it is important to include a subject line on the note. It is basically a summary or the gist of the information in the note. Just like in a topic outline, you only need to use keywords for the subject line. It is best to limit the use of words to two to seven for the subject line. 4. 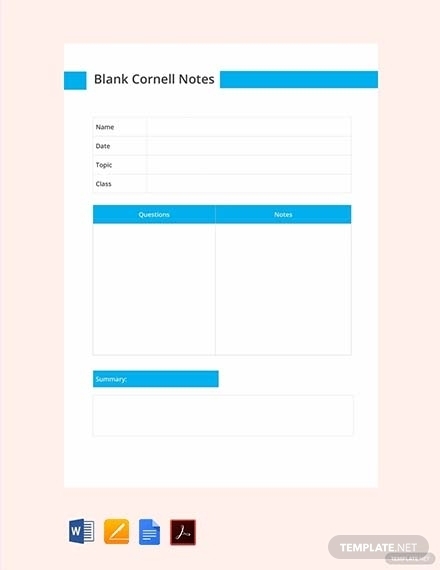 Content: Since a note is expected to be direct and brief, it is important to immediately write the main thought or the main purpose why the note was written in the first place. You need to provide more details with regards to the subject you have already presented. However, the complexity of the matter will still affect the length of the note; therefore, it is best to aim to write as succinctly as possible. 5. 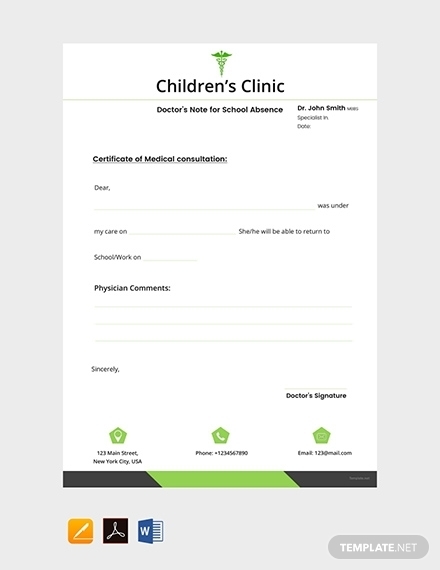 Signature line: As mentioned, a note can be used to share important information to others, it is important that someone vouches for the accuracy of the shared information. You can include a signature line after you have written all the contents or the body of your note so that a higher-up like your immediate head, manager, supervisor, etc. can affix their signature. The signature line should include the name of the signer, his or her position/delegation, and a designated space for the signature. 1. 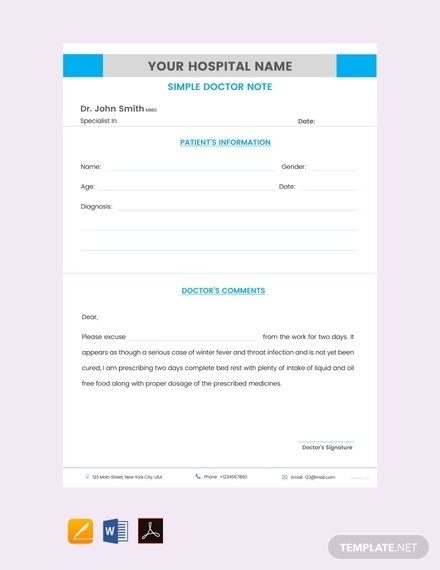 Write sender and recipient information: On the topmost part of the paper, write the information of the sender. It should include the name, complete address, and contact information of the sender. After that write the same information but for the recipient. 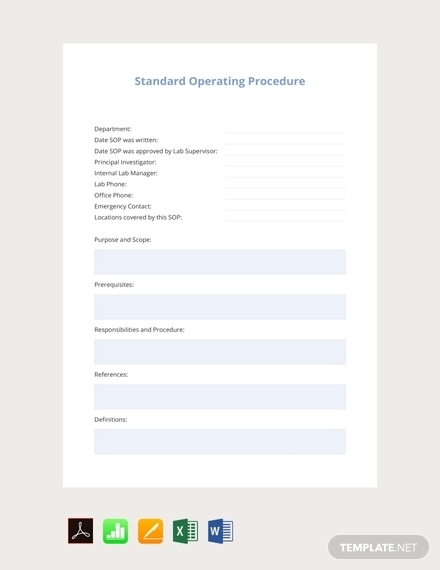 Remember that there is no standard format to follow, this means that you can write both of these information of the center of the page or just in one line or whichever you think is more readable. 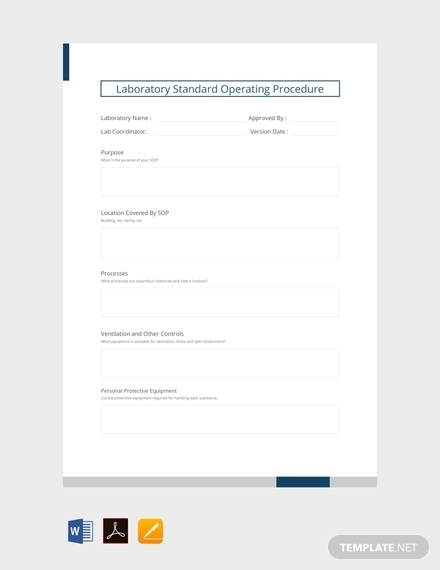 As mentioned, you can utilize a letterhead template so that all you need to provide for is the recipient’s pertinent information. 2. 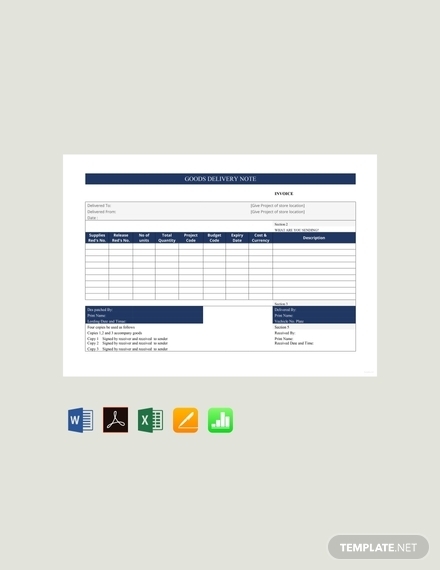 Indicate the date and subject: After making sure you have already provided the sender and recipient information, proceed to writing the date when the note was written. Depending on where you are at in the world or what you prefer, a date can either be written in American English style following a month-date-year format (June 4, 2019) or in British English style following a day-month-year format (04 June 2019). On another hand, the subject should be written succinctly. You only need to provide the gist of the note; therefore, you can use just a few words. 3. 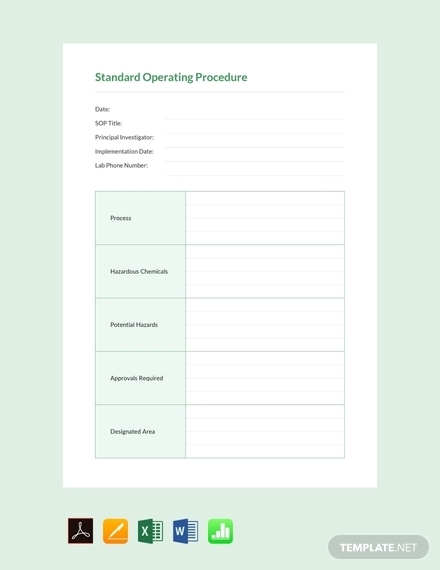 Make an outline for the body: To ensure that you provide all the necessary information relating to the subject you have previously indicated, it is best that you make and utilize an outline first. Making an outline will help you ensure that you maintain coherence to the topic at hand although you are using short sentences. Doing so will also help you have a complete overview of what the final draft will look like giving you enough time and perspective to change things up, if necessary. 4. 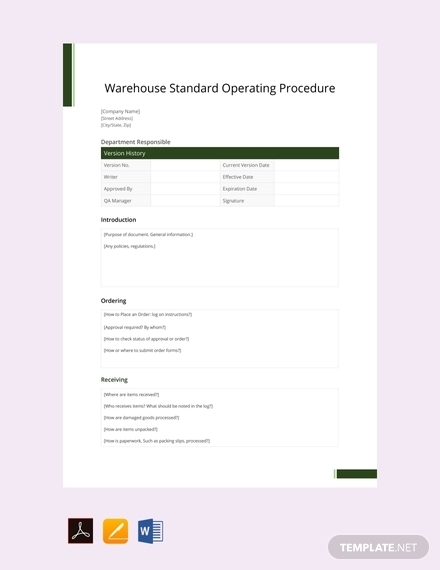 Provide all the necessary information: Once you have already made an outline, you can proceed to incorporating all the necessary information and details. As mentioned, it is best to write in shorter, direct sentences. You need to immediately explain what the purpose of the note is. Just like in a promissory note where there is a need to immediately mention when you promise to pay or provide for what has been agreed on. It is important for a note to be direct since it should not be how lengthy memo or a letter is. 5. 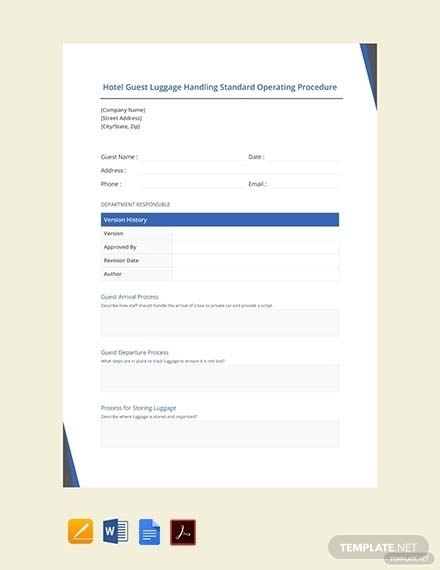 Indicate signature line: As mentioned there is a need to provide for a confirmation that what you have included on the note are in fact true and accurate. 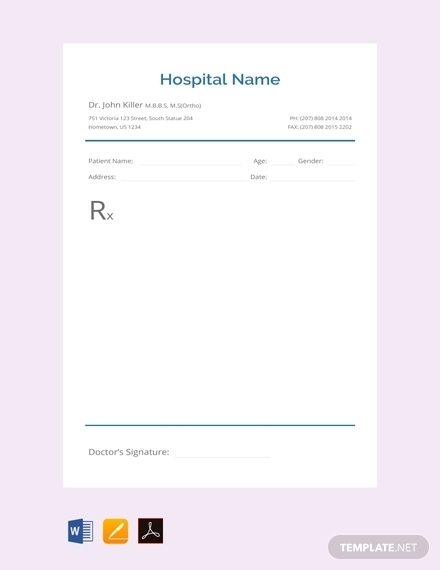 For example, a doctor’s note need to have the affixed signature of the doctor so that it can verify the accuracy of what has been prescribed or what findings has been indicated. 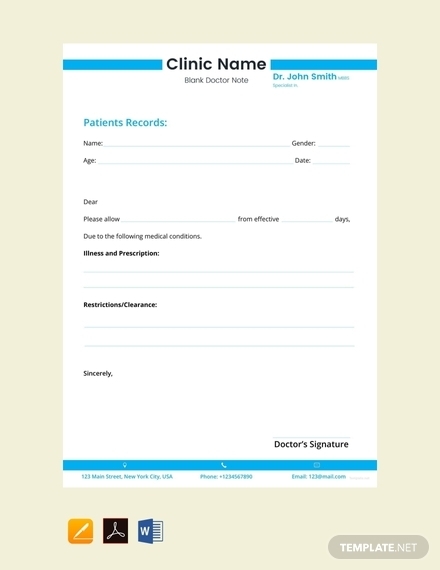 Therefore, after all the contents of your note are written you need to give a few spaces for the authorized signer to affix his or her signature. The signature line should consist of the name of the signer as well as his or her position/designation; there should be a line to indicate where he or she should affix the signature. 6. Proofread and edit accordingly: After you have provided all the necessary information for your note starting from the sender details down to the signature line, you still need to make sure that there are no errors and mistakes. Make sure that there are no inaccuracies with all the information that you have written and that there are no grammatical errors to avoid confusion. Edit the note as you see fit. Use shorter but complete sentences; make sure you still get to convey a complete thought. Write professionally; use formal words and professional tone. Use bullet points or numbered lists to convey or illustrate the subject even better. Keep all your information organized; aim to make it coherent all throughout. If needed, you can include illustrations such as charts, graphs, etc. 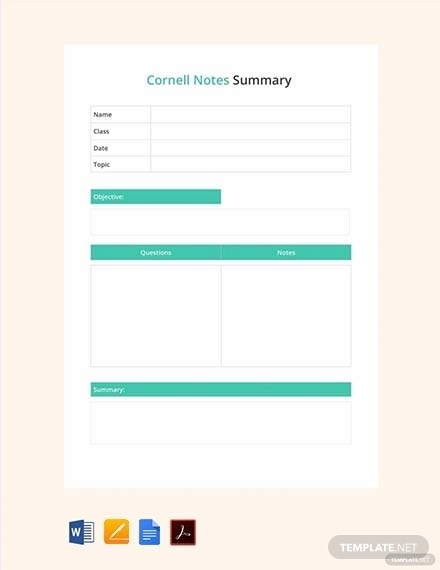 You can use a note template specifically for whatever purpose. 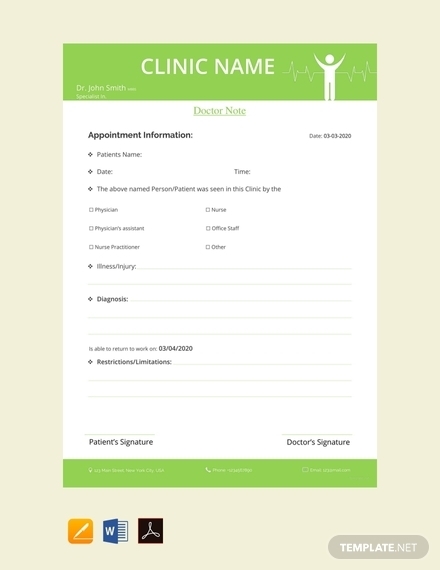 Using a fill out system or having pre-printed documents ready to be filled out is a good option. 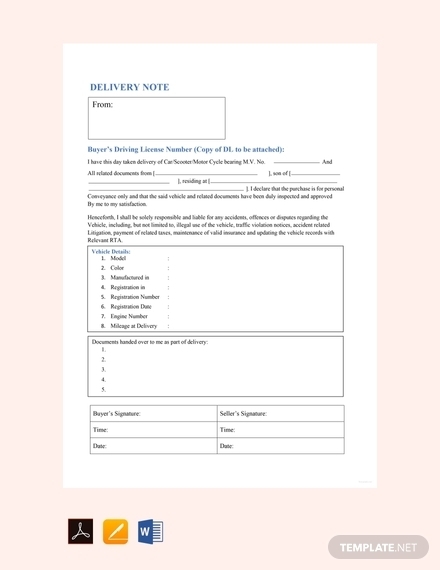 Formal notes: Formal notes can come in the form of business notes, delivery notes, promissory notes, medical notes, and so on. These notes are essentially used in a professional or formal setting, commonly used in corporate and academic sectors. It is used to convey important information as well as the urgency of the subject being discussed. 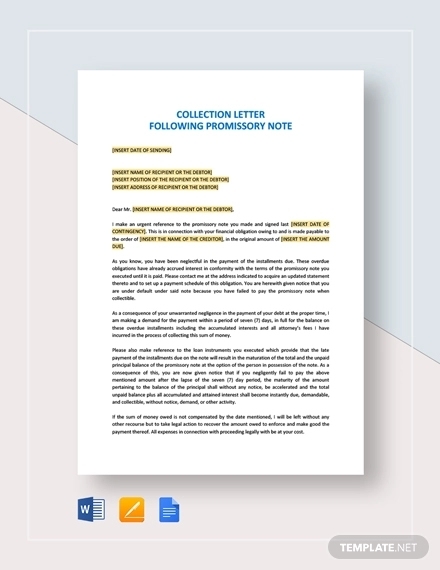 Some formal notes are used to take or confirm that previously discussed subjects have already been read and the recipient has taken the necessary actions. Informal notes: On the other hand, an informal note is used to informally address a topic. It is used in a casual and informal setting just like a thank-you note, class notes, etc. 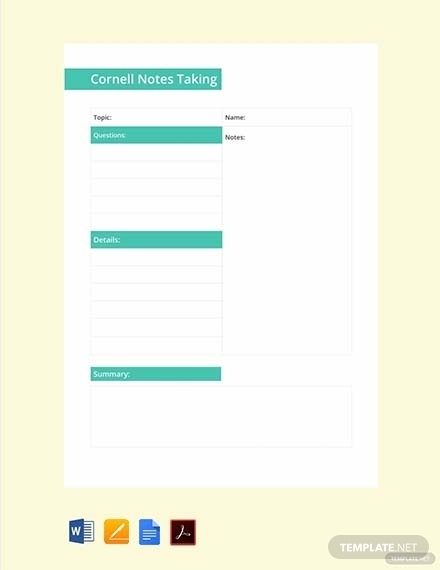 While some formal notes may have restriction when it comes to way of writing, format, and so on, an informal note offers the writer more freedom since it does not adhere to standards and specific formats. 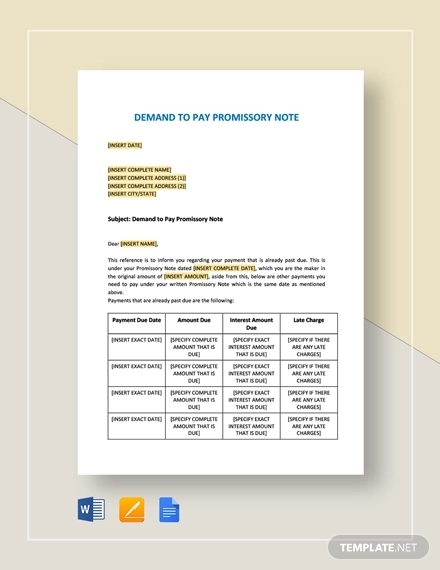 Just like any other document, a note is written to relay specific information to others. 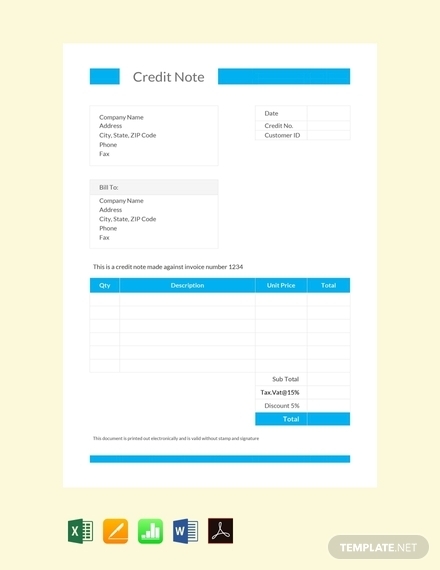 Businesses use a note because of its succinct nature which makes transactions way more efficient than usual. Although it is very brief, it is still an effective tool to use when conveying important information. Since it is brief and mostly uses keywords, it helps the reader immediately get the idea of what it’s all about. Therefore, it is basically used to relay information in a brief yet accurate manner. It is brief and direct. The relay of information is more efficient. It uses less words; therefore, its more comprehensible. An appropriate response can be given immediately. Its brevity helps avoid miscommunication and misunderstanding.